20 cm l, 507 p.
Taken from the poverty of her parents' home in Portsmouth, Fanny Price is brought up with her rich cousins at Mansfield Park, acutely aware of her humble rank and with her cousin Edmund as her sole ally. During her uncle's absence in Antigua, the Crawford's arrive in the neighbourhood bringing with them the glamour of London life and a reckless taste for flirtation. 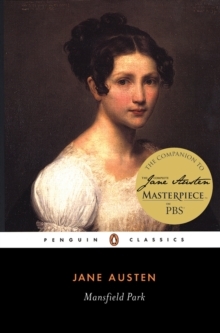 Mansfield Park is considered Jane Austen's first mature work and, with its quiet heroine and subtle examination of social position and moral integrity, one of her most profound.